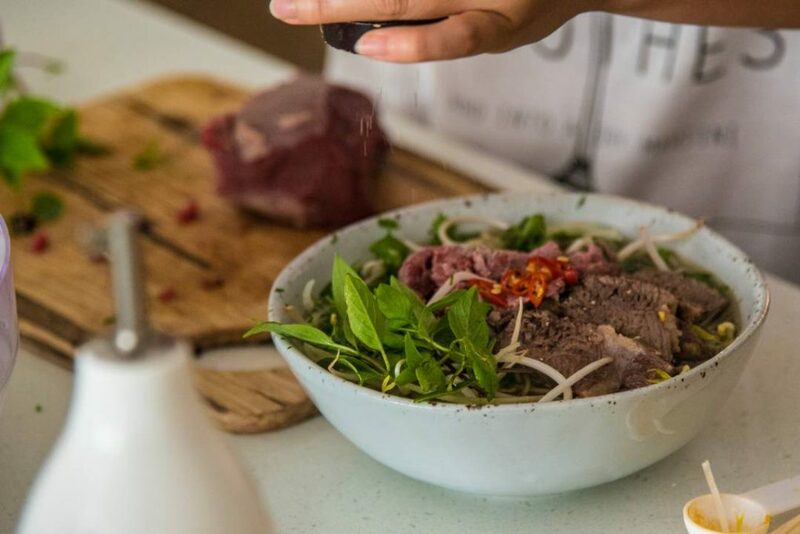 Did you know that although Phở is probably the most famous Vietnamese dish, it is actually a relatively new dish enjoyed by the Vietnamese people (and now the world), for no more than hundred years? Origins are unclear due to the oral transmission across generations, but it appears Phở might have common roots with the French soup “Pot Au Feu”… The Phở broth is an art form of itself, and mastering the seasoning requires a real talent. Because of this oral transmission, and because chefs never disclose their own recipe which run in their families for generations, you will never see one identical Phở! Last thing: did you know Vietnamese people consider it as breakfast food? Want to give it a try?